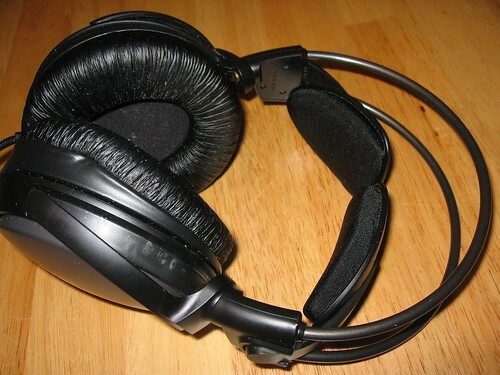 This review was originally posted on foogaming.com – but since that site is no longer up, I decided to repost it here for anyone looking for feedback on these excellent headphones. My old earphones, Shure E2c, gave up the ghost after 2 years of extensive use. It served me well, but I want headphones that actually last. So thus my research on the net brought me to the purchase of the Audio Technica ATH-A500, which is only made in Japan. 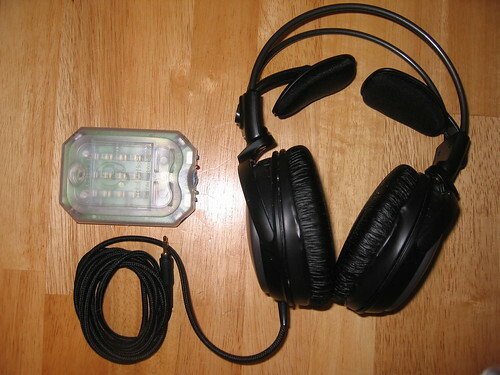 Word is that it is great for gaming, having a soundstage that is great for closed circumaural headphones. 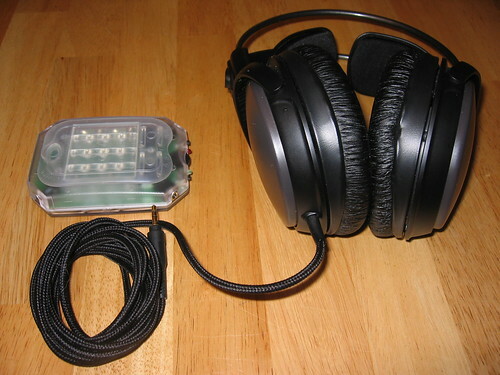 Along with the headphones, I also invested in the Headroom Total Airhead headphone amp. Why a headphone amp? The sound card on our computers don’t provide enough power to decently drive and provide the resources necessary for quality headphones to truly reach their peak. With an amp providing clean power, sound not only can go louder, but sound cleaner, crisp, and vibrant. It’s not a huge difference, but it certainly helps. All told, I spent about $300 on the headphone and amp combined. So was it worth it? Let me put it this way, I rarely take my headphones off since I’ve received it. Between listening to all my music, watching movies with bone-jarring explosions, and blasting some fool in online games, my ears has been dancing in glee. The feedback weren’t kidding, these phones has a superb soundstage. Being able to pick off enemies in a FPS because I was able to discern his location via sound has raised my competitive edge substantially. Lots of gamers think you have to have surround sound headphones for that to happen, but that isn’t the case. Quality, properly driven, headphones can do the job. Gaming has taken a whole new level of pleasure for me, thanks to these cans on my ears. As for the sound, it’s really great. The bass is sharp, especially driven by the Total Airhead amp. When certain bass-heavy songs come on, or an explosion is set off in a movie/game, the result is a skull-rattling feel that will have you grinning like a schoolboy again. It’s not the muddy, cheap bass either; not the kind you’d find in those street-style headphones where they advertise the cool new PhatBass™ feature. No, this bass is clean, crisp, it complements rather than drown out any other sound. As for mid-and-high range, it sounds great too. Surely it’s not as good as those headphones that’ll run you $500-$1000, but for us non-audiophiles out there, it’s perfect enough. For example, listening to Mozart’s Symphony No. 40 in G minor (high quality FLAC file) was breathtaking. I’m no classical buff, but I can surely appreciate the beauty of a timeless work of music. There were certain moments where the sound was almost too real and inspiring. My roommate who is a classical snob, was even impressed. Something about hearing certain instruments in certain rows of the orchestra had her excited with these headphones on. That’s good enough for me. For my style of music tastes; indie rock, rockabilly, reggae, ambient, and punk, these headphones handles with aplomb. No complaints whatsoever on my end. The great thing about the A500, besides the superb sound, is comfort. Because of the design of the pads, it fits on your head and doesn’t feel like it’s clamping to your head like a vice. The earpads fully enclose your ears, and in most cases your ears won’t even touch the pads. 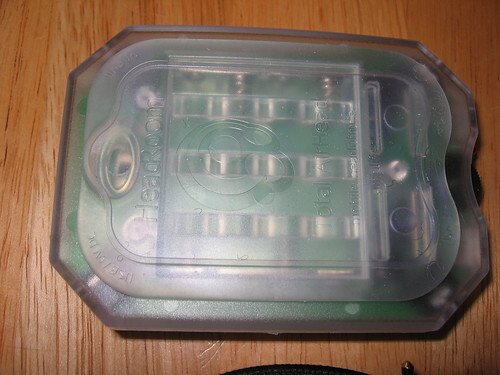 The pads are there to provide a sealed enclosure, which in turn gives it that clean, yet powerful, bass. The cord is not your standard rubber-protected cord, but rather has a woven mesh covering it. I have no idea if this is better in the durability department compared to rubber, but I like it. It is also quite long, which is nice for when you want a little freedom around your desk, but not so nice if you are the clumsy, forgetful type. The build quality feels very solid. Though it is plastic, it doesn’t feel like the cheap plastic that breaks apart after any sort of rough use. I’m tired of headphones breaking, so I’m hoping this will last longer than my previous sets. There are some negatives though. For one, because the pads cover your ears, you will get slightly sweaty ears, and while it isn’t too big a problem, it’s still something to keep in mind. Also, though the pads are comfortable, they are a bit creaky when you move your head around and there is no sound playing. Where the cord meets the left earpiece, there’s a little rubber covering that isn’t fully sealed around the cord, which has me a little worried, but I fixed it easily with a little super glue and wrapped the covering around the cord properly. I understand not everyone is willing to put down $300 or so for headphones and an amp, but if you spend hours daily listening to music, playing games, watching movies, it can be well worth it. For gaming, it has boosted my level of passion to the point where I want to replay some of my old games, as these phones make everything feel new again. Sounds you never picked up before, explosions that you can feel, everything sounding better than ever before, all of it adds up to a better experience with all of your listening experiences. Personal issues arose in my life that has made it difficult for me to spend the amount of time I’d like working on foogaming. Perhaps when I have more free time, I could go back to running foogaming, but I couldn’t say for sure. No wonder, I was wondering why foogaming had suddenly disappeared and my feed was replaced by a certain Good Blimey. Hope all goes well in your personal life then, all the best!